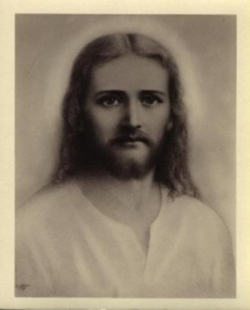 In this letter Mr. Freedman covers many topics several of which are: Jesus Was Not A Jew--Some Of The History Of The Modern Day Jew And His Origins--Some Of The History Of The Talmud [Some Very Important Quotes. From It Including Permission For Sexual Attacks Upon Babies, Etc.] --The Kol Nidre Oath. The Very Harmful Influence The Talmud and Kol Nidre Writings Have Exerted On The Entire World For Centuries--The Jews Are Not Any Part Of The "Lost Ten Tribes". This letter takes over 100 pages in a Journal so we will only give the sources for it: Phoenix Journal #223 BIRTHING THE PHOENIX, Vol. 2 85 #233 RISE OF ANTICHRIST, Vol. 5 or CONTACT March 17, 1998, Vol. 20, #4. My goodness, only a couple of weeks into our topic and the sky is falling Hennie-Pennie. By the way, "You and all your readers are anti-Semitic," say a couple of the writers, "this is hate literature..." and "Tell us again your definitions because these writings are made to look like research". TRUE MEANING: From the LATIN word "gentilis", meaning "of the same gens, clan or race". In the Bible the more modern word Gentile is a mistranslation of the actual Old Testament Hebrew word "goy", and the Greek New Testament word "ethnos"--both meaning "NATION OR PEOPLE" (ANY nation or people). THESE LAWS OF GOD IN EACH "GOOD" OR "GODLY" RELIGION OR SPIRITUAL ACCEPTANCE ARE BASED ON FUNDAMENTAL VALUES OF GOOD MORALITY, EQUAL JUSTICE, RESPECT, REVERENCE AND FUNCTION IN THE WAY OF THE "GOLDEN RULE": "DO UNTO OTHERS AS YOU WOULD HAVE OTHERS DO UNTO YOU". MERITS OR DEMERITS OF "INTENT" IN CONNECTION WITH EXPRESSED THOUGHT OF/TO ACTION. Please note that even in the Old Testament the commands are not ended with "EXCEPT IF, WHEN, BUT, OR...". All written material is MAN-MADE. THOUGHT is of God and one can proclaim that his thoughts or the written word comes from God--but language and the activity of writing is human physical action. The actual expression in writing is that which must be JUDGED, not even the writer or printer or seer can be judged--ONLY THE WORD. If the TEN COMMANDMENTS are the basis upon which the Israelites AND THE Christians foundation their RELIGION, what went wrong? If, as currently acceptable in modern RELIGIOUS PRACTICE, exceptions are made of the ONLY LAWS HANDED DOWN, AS THESE RELIGIONS PRESUME, ASSUME, AND PROJECT UPON OTHERS AS TEACHINGS--WHAT HAPPENED TO THE PRACTICE OF ABIDING BY THESE LAWS WHICH MAKE YOU TO BE CONSIDERED A JUDEAN OR A CHRISTIAN?